When it comes to camping, you will think of a bonfire, tent and communal bathroom. 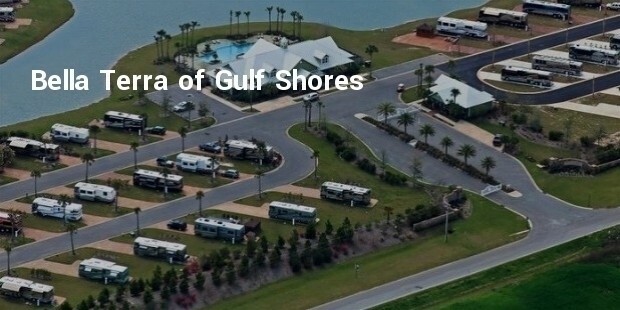 But, you can have some luxurious experience during your camping with luxurious RV resorts. RVs are continuing to get better and bigger and they offer all the comforts of your home. They are being upgraded and updated to transfer them into the most luxurious destinations for people who have been longing to go on for camping. 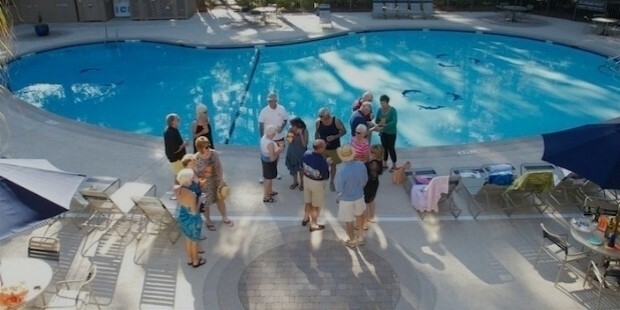 Located in the heart of 50 acres of land, this Hilton Head Island Motorcoach Resort is surrounded with beautiful landscape. You can enjoy top notch amenities along with onsite delivery of bike rentals to explore the island. Behind the resort, you can enjoy Dog Park, play ground, basketball court, tennis court, walking trails and marble bath facilities. 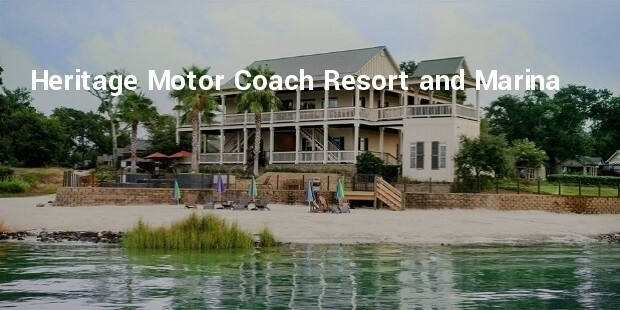 Hilton Head Island Motorcoach Resort Price Ranges from $60 to $80 Per Day. You can enjoy camping at Springs at Borrego RV resort and enjoy excellent climatic condition. In this resort, you can indulge in activities such as playing tennis, catching and releasing catfish, bassing and tilapia from the pond. The guests can take hot mineral bath and attend star gazing parties at Astronomy Park. 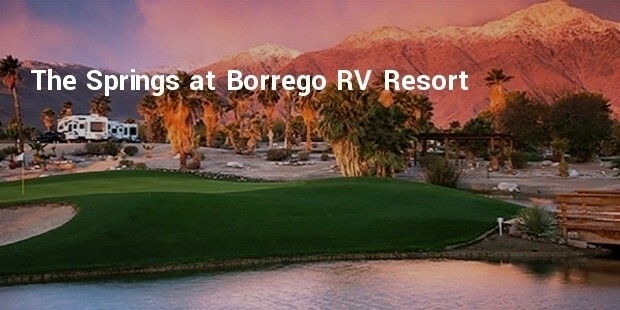 The Springs at Borrego RV Resort Price Ranges from $155 - $193 Per Day. 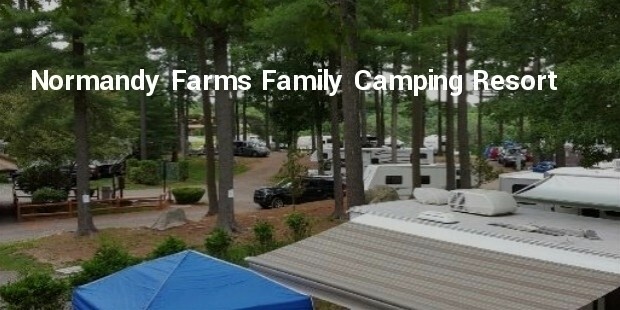 Petosky RV Resort has immaculate landscaping and is a home to a number of recreational activities. After enjoying those activities, you can relax in the lodge integrated with modern amenities like billiard rooms, movie theater, card rooms and fully equipped bar where you can enjoy taking part in cocktail parties. 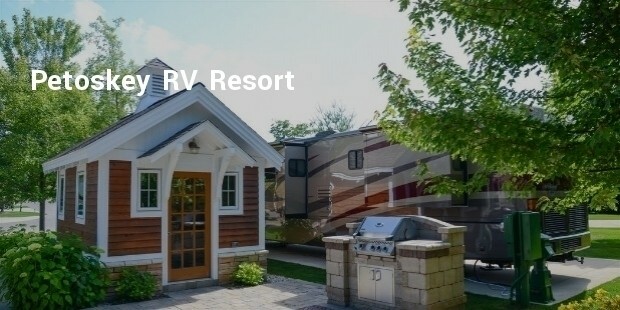 Petoskey RV Resort Price Ranges from $100 to $150 Per Day. 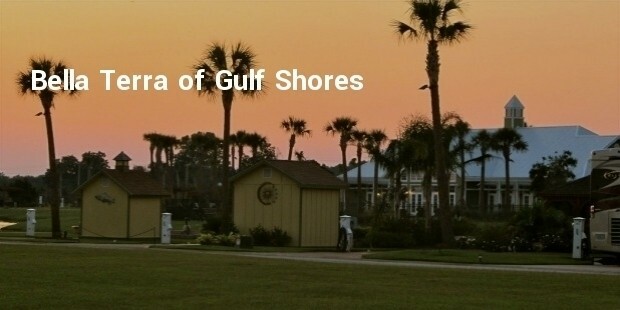 Regardless of their price and features, camping at these RV resorts helps you to get rid of stressful hectic life. So, plan for an outing with your family or friends to any of these RV to spend some quality time in a peaceful way.